They are heat safe. It’s not recommended to use the microwave to heat food in plastic, so we suggest you heat them the old-fashioned way, in a bowl of hot water. However, if you do wish to re-heat Sinchies in the microwave, use a medium heat and give them a shake every 20 to 30 seconds so as to not leave hot spots. Open the ziplock to allow steam to escape. If you are worried about the standard lids being a choking hazard, choke-free lids are sold separately. Standard spare lids are also available. Open the ziplock and the gusset so that the pouch can stand up. Use a 1 litre pouch, a jug, or a funnel in order to fill your smaller pouches. We recommend using a bottle brush to clean the pouches and a teat brush to clean the spout. Use a twisting motion to ensure you get all the food out the bottom of the pouch. Sinchies pouches are dishwasher safe. Rinse the pouch and place it on the top shelf, over two prongs. 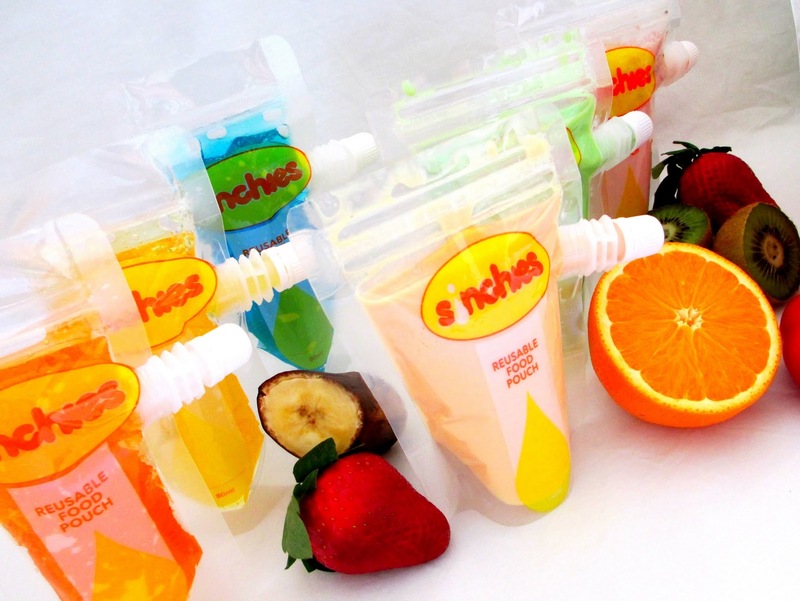 Sinchies pouches are transparent so that you can be sure that they are properly clean. Be careful not to overfill your pouches if you wish to freeze them because the contents will expand during the freezing process. Caution: Ensure young children are supervised when using this product as it contains small parts (the lid/cap) which children could swallow or choke on. We highly recommend you purchase our child safe anti-choke lids if you intend using this product for infants or if you will be sending it to school or daycare.